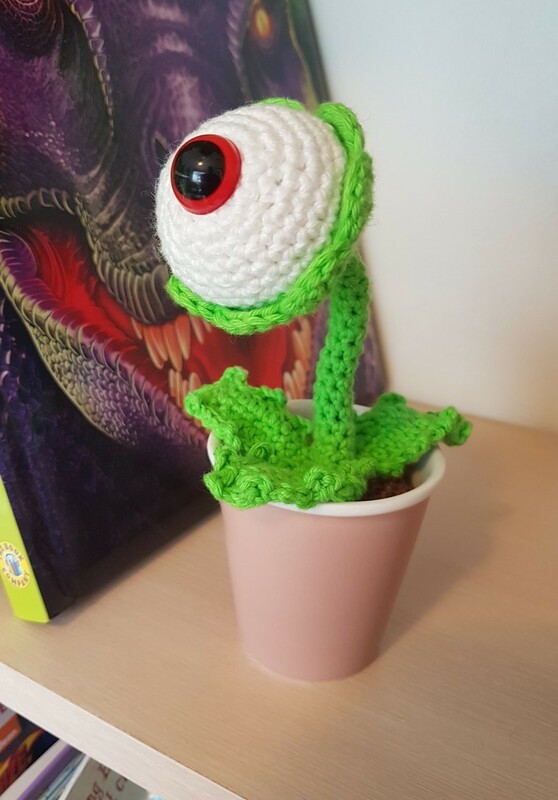 This little crochet eyeball monster plant is the ideal desk companion for work or home, it thrives on neglect, loves when you forget to water it and isn't fussed on sunlight. Our crochet plants make great gifts for family, friends and co-workers. They are hand crocheted from either 100% cotton or a cotton-acrylic blend, have plastic safety eyes and are filled with polyester stuffing or yarn off-cuts and are secured into ceramic pots. This little guy is approximately 15cm tall from ground to top.